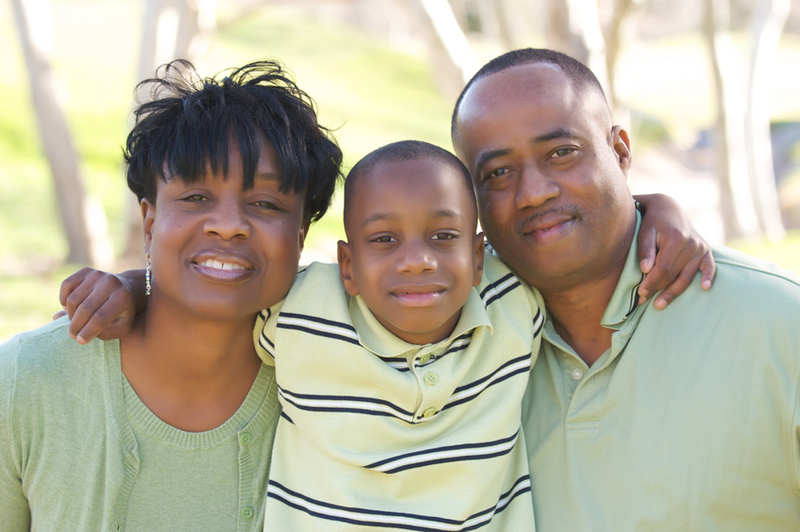 Familial, intergenerational wealth plays a huge factor in economic opportunity. When all Americans don’t have a fair shot at accumulating wealth, inequity is exacerbated and economic mobility is stunted. Today, the top 1% own 37% of all wealth in America. A recent study out of University of Michigan shows that in the past 10 years, wealth inequity has doubled. We are often told that education is key to economic mobility, yet, from 1984 to 2009, graduation rates for black Americans rose by 300%– remarkably, keeping pace with the widening wealth gap. 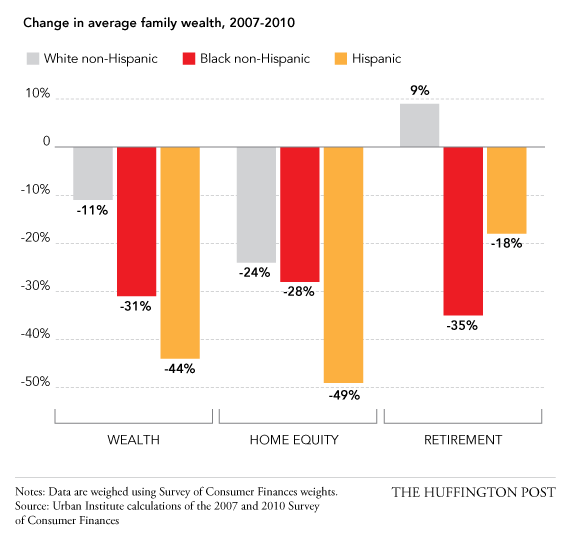 Inequity between Latino households and white households is equally troubling. In short, if you stand to inherit money or a home from your family or if you already own a home, you have a much better chance of maintaining wealth. That wealth can also be leveraged for education and home improvements that secure a household’s economic future. Meanwhile, as tuition skyrockets (as does young adult unemployment), that college degree is an increasingly elusive and unrealistic option for far too many lower and middle-income households. The implosion of the subprime lending market has left a scar on the finances of black Americans — one that not only has wiped out a generation of economic progress but could leave them at a financial disadvantage for decades. […] For blacks, the picture since the recession has been particularly grim. They disproportionately held subprime mortgages during the housing boom and are facing foreclosure in outsize numbers. That is raising fears among consumer advocates, academics and federal regulators that the credit scores of black Americans have been systematically damaged, haunting their financial futures. How can America reverse some of the damage and support families who want to pursue the American dream of homeownership? One successful model includes Framingham Village, a community in Northeast Columbus, Ohio with majority African American homeowners. Framingham Village offers an alternative to predatory lending an sub-par housing by combining service-enriched affordable rental units and affordable and market rate homes. The community utilizes an innovative lease/ownership option plan not previously used under the Low Income Housing Tax Credit program. This bolsters the tax base, enhances stability and a sense of community, and, in the long term, helps families accumulate intergenerational wealth (refinancing also frees up finances to invest in their children’s education and home improvements). American families, however– not investors or bankers– are the ones who have truly paid the price for the mortgage crisis. Bank of America is expected to be the next massive bank to settle. Currently, no criminal investigations are under way. Is fair housing a civil right? This entry was posted in Building Neighborhoods and tagged Columbus Ohio, Economic opportunity, Framingham Village, homeownership, Joe Recchie, mortgage crisis, Praxia Partners, wealth. Bookmark the permalink.